Journalism wrapped in a game-show package. 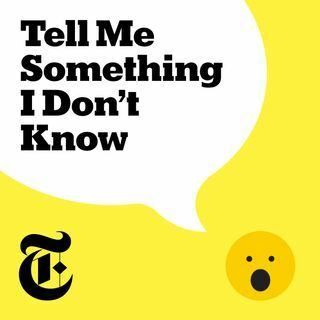 Host Stephen J. Dubner (of “Freakonomics Radio”) and a celebrity co-host invite guests on stage in front of a live audience to tell us something we don’t know. The co-hosts — a mix of leaders in science, academia, sports, media, and comedy — grill the guests, and by the end we’ve all gotten a ... See More bit smarter. Each episode has a new topic, a new co-host, and new guests. There’s also a real-time human fact-checker to keep everyone honest. Think of the most crackling dinner-party conversation you’ve ever heard. Produced in association with Stitcher.